Congratulations Shubham Khurana! Student of PGDM-Retail Management (Batch 2017-19) for showing exemplary performance at internship competition at Wooplr and becoming the Top Performer. The E-commerce company “Wooplr” came up with an opportunity of a 3 weeks internship for college students. The participants were asked to start their own personalized online retail stores through Wooplr, where they could select their own merchandise, they want to deal with and reach the customers on their own. The internship gave exposure about the online retail operations. The interns got to use Branding, E-commerce operations, social media marketing and other skills. The duration of the internship was 14th Feb 2018- 6th March 2018. 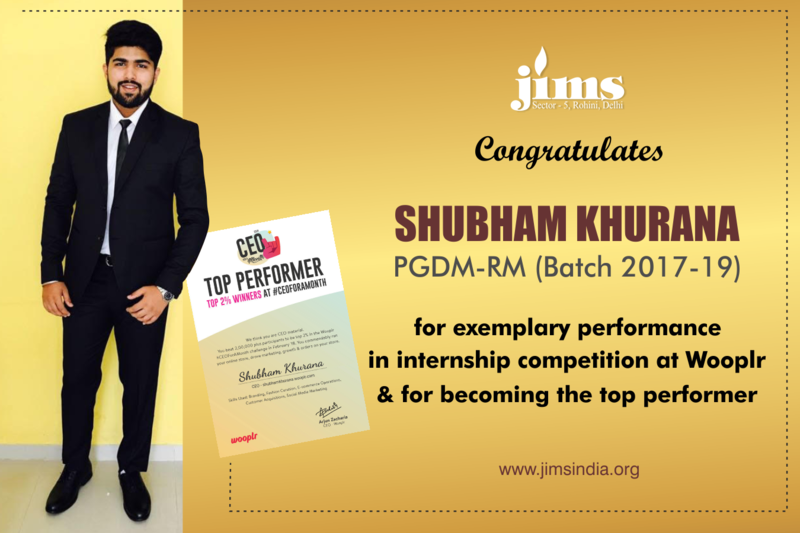 All the best Shubham for your future endeavors.